Captain Jon Fetter of Catching the Cure Backcountry Fishing Charters has over 35 years of fishing experience. If you are looking for a qualified fishing guide that can find redfish, snook and other back bay species in Southwest Florida, you’ve come to the right place. He is extremely passionate about his job on the water and it is this passion that makes him one of the area’s top fishing guides. 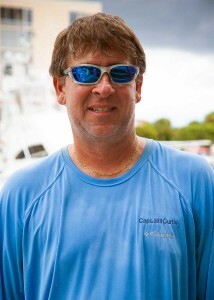 Captain Jon is the newest member the Mako Boats Fishing Team and is a sponsored guide on the Bass Pro Shops Pro Staff. Specializing in light tackle and fly fishing and providing a family friendly atmosphere where children are welcome, Captain Jon takes time to teach anglers the proper techniques to ensure a fun and memorable fishing experience. Captain Phil of Pica Charters has over 30 years of fishing experience in the Southwest Florida waters. 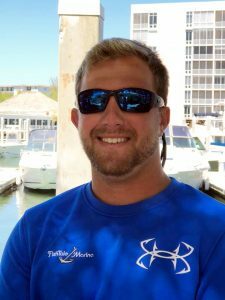 He is a full-time guide that specializes in offshore light tackle sport fishing for tarpon, permit, cobia, grouper snapper, and snook. His tower boat lets him see schools of fish which gives his anglers an advantage of sight fishing big fish in the Gulf of Mexico. With quality equipment, high standards, and decades of experience, Captain Phil works diligently to ensure your success and enjoyment on the water. Captain Scott has been a charter captain and a commercial fisherman for the last 15 years. 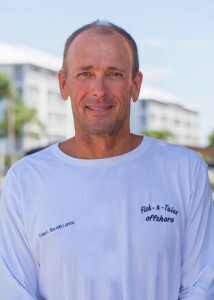 He is an avid scuba diver and his specialty is finding the best spots for grouper and snapper. He welcomes both experienced and first timers on his wonderful fishing adventures. His 38’ custom built Sportfish has a wide and stable platform perfectly suited for the beautiful water of the Gulf. He made a commitment to provide the best fishing experience possible to ensure his customers go home with some great Fish-N-Tales. 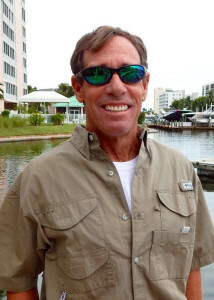 Captain Bill has fished Florida waters for more than 30 years and has experience in nearshore and offshore fishing. He began his fishing career in Miami and quickly went from fishing the shore waters of Biscayne Bay to some blue water fishing. Then he started fishing the Florida Keys all the way down to the Marquesas and the Dry Tortuga’s. He offers offshore fishing charters on the spacious 38’ custom built Sportfish. Captain Bill is happy to customize your charter to suit your needs. 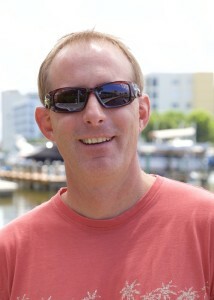 Captain Steve of Hawgwild Charters is a Southwest Florida native, born and raised in Fort Myers. 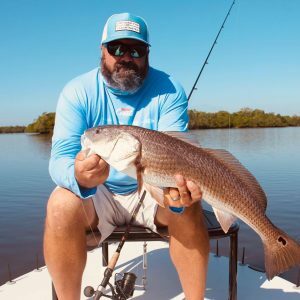 He has been professionally fishing the Southwest Florida waters for over 30 years and is undoubtedly one of the area’s most knowledgeable guides. His enthusiasm, energy, and knowledge of the surrounding areas are what make his charters exceptional. Whether your looking for offshore, backwater, night snapper trips, or any type of fishing you can think of, Captain Steve can put you on the fish! Pictured with Captain Steve is his loyal friend, Tundra. You can find Tundra, Oreo and Boca often on our docks with the Hawgwild Charter Team. Joining the Hawg Wild Charters team is Captain Sam Katona. Chartering Offshore or Inshore, visit his Instagram account @captn_samkatona for his latest photos. Back Bay fishing is Captain Greg’s passion. Captain Greg Stamper of Snook Stamp Charters has 36 years of fishing experience in South Florida. 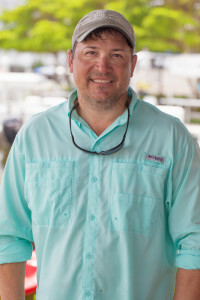 He fishes full-time from Boca Grande to Fort Myers Beach and specializes in back country and near shore fishing trips. Whether you’re a fishing pro or a first timer, he can personalize your charter experience. If you are looking for some exciting fishing action, contact Captain Greg today. 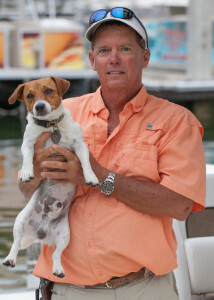 Captain Alex of Spot on Charters has been in the boating industry since 1983. He can accommodate both spin and fly anglers from experienced to novice. While on your charter, you will use quality rods, reels, and tackle and a combination of live bait and artificial lures. He has over 30 years of experience in boat rigging, handling and set-up, bottom fishing, trolling, and destination trips to places such as the Florida Keys & Bahamas. Whether you are an experienced or novice angler Captain Alex has the expertise and local knowledge to put you on fish and guide you to a great day of fishing in Southwest Florida. Captain Tony Porter was born and raised in Portland, Maine. He caught his first fish at 7 years old and has been hooked ever since! Capt. Tony has been light tackle and fly fishing the high mountain steams of Colorado to the inland waters of Estero bay for the past 20 years. Whether you are a beginner or an expert, contact Capt. Tony today for your Estero bay fishing trip of a lifetime! Originally from Key West, Florida, Captain Chris Argiro is a second generation captain and fishing is something he took to at an early age and it quickly became his passion. 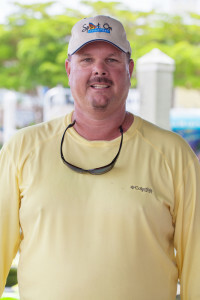 Captain Chris says “It’s no secret that Southwest Florida is home to some of the best fishing in the world and my goal is to give you a great day on the water and ensure that you have the best fishing experience!” Captain Chris is offers both inshore and offshore charters. 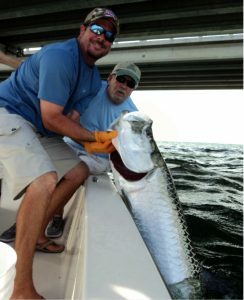 Captain Jason Moore specializes in both Backwater and Nearshore Charters using live bait for the best Saltwater Fishing. 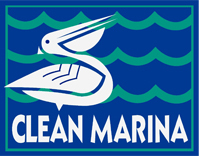 He welcomes all levels of fisherman on his boat including young anglers as he says “they are the future of our sport”. 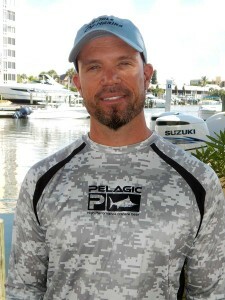 Captain Jason began his guiding career in 2005 fishing the Gulf Coast of Florida from Sanibel to Naples. Born in Homestead, FL, he grew up fishing in the Florida Keys and Everglades National Park. When he moved to Ft. Myers in 2001 to attend FGCU, he discovered the incredible fishery we have on the Gulf Coast. He has come a long way since then and his goal is to share those experiences with others and make sure that all of his clients have a successful and fun day on the water. Anglers are welcomed aboard Captain Matt DeAngelis’ Pathfinder Bay Boat for fishing charters and trips to remember on Estero Bay. Captain Matt says “every excursion is a new adventure and you’ll be able to catch incredible inshore saltwater game fish and get a stunning glimpse at some amazing marine wildlife.” He uses live and artificial bait during his fishing charters and can also accommodate fly fishing. 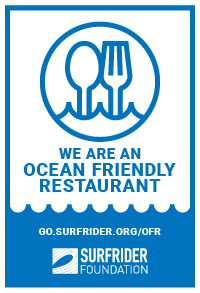 A saltwater fishing trip is a great idea for getting together with family, friends and business partners.